Well taken care of hands and nails. This is the dream of every woman. But what have to do those ladies whose nails are brittle and splitting? Luckily, there are some effective methods for strengthening of nail plate as well. Check out what we are talking about below. Poor nails condition is usually a result of vitamin deficit and improper nutrition. The effect is brittle and splitting nails. 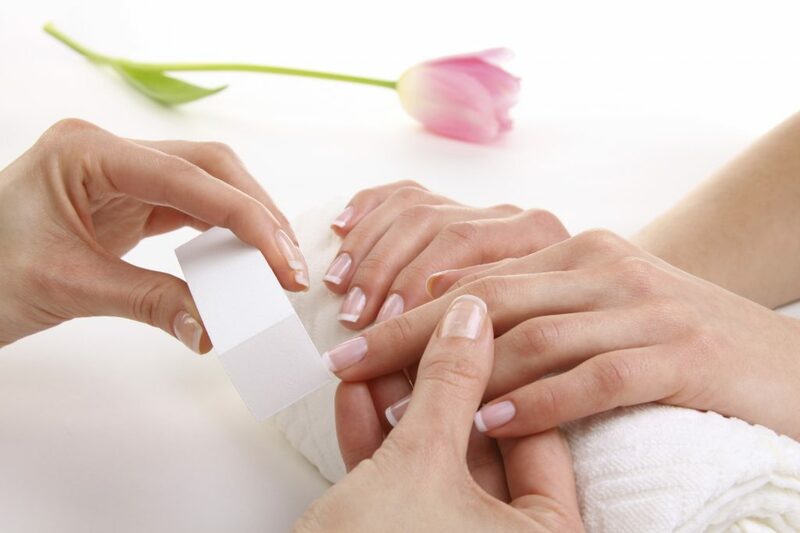 There are some characteristic white spots, which can ruin the entire manicure. To strengthen nails take dietary supplements on daily basis. Best are vitamins A, D, E, K and H as well as all in B group. Fingernails condition can be improved also with zinc and proteins, which can be found in eggs, liver, carrot and yeasts. These are the products you should include in your diet. These can not only moisturise skin, but also take care of nails. Use hand creams after every hand wash, before bed time and before going out. It is important not to forget about hand creams in the winter. This type of product should protect skin against detergents, apply easy and absorb fast. Hand creams contain plenty of vitamins and nourishing substances. If used on regular basis, strengthen and condition nails. Olive oil bath – it moisturises and nourishes nails. The bottle is not that expensive and the results are brilliant. How to prepare it? Heat up olive oil, pour it in to a bowl and add few drops of lemon. Soak hands for about 15 minutes. Rubber gloves and winter gloves – protect your skin and nails against detergents and freezing winter air. Put on rubber gloves before getting to house cleaning. You should consider application of some hydrating hand cream – some people are allergic to synthetic fabrics. Before you go out and build a snowman, use moisturising cream and put on warm gloves. Glass file – is best for manicure. It does not weaken nail plate, does not cause splitting, brittleness or breakage. It perfectly provides nails with desirable shape, make manicure easier and is easy to clean. Remember only to file nail plate in one direction.